Cross off these to-dos, so you don’t forget anything before your big move for your job. As if starting a new job wasn’t stressful enough, moving for a new job is sure to add to your stress. Between looking for a new place to live, a school for the kids, packing up all of your memories into cardboard boxes, and making a game plan for your first 90 days on the job, it can be hard to know what to do first—and even harder making sure you haven’t forgotten anything before you head down the freeway, moving truck in tow. Fortunately, your new employer may offer you a relocation package or some relocation benefits to help make your transition easier, so you’ll definitely want to ask—and negotiate—those first. But you’ll also need to sell your current home, look for a new one, tie up any lose ends, and start exploring your new city. 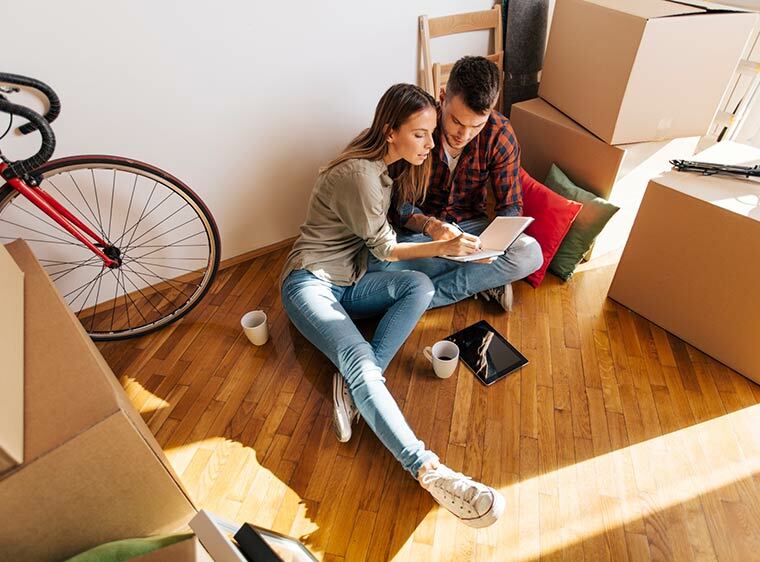 To make sure you get everything done and ensure your move is as hassle-free as possible, here are six things to do before the big move. When moving for a specific employer, it’s always a good idea to check with your benefits coordinator regarding relocation services. Many large employers have relationships with relocation companies that offer great financial benefits, such as covering moving expenses and closing costs and even providing a buyout option if your home does not sell prior to your move date. Before you accept the job offer in a new city, or even in a different country, make sure to negotiate these relocation benefits. As soon as you know you'll be moving, start looking at community profiles within commuting distance of your new employer. Do some advance research on housing expenses and the cost of living in your new location before you sign any leases or mortgages You may be excited about landing a new job with a higher salary, but if the local economy is significantly more expensive than the one you're coming from, you may find yourself further behind financially rather than ahead. The commute to work may be a breeze from the northern suburbs but horrible from the south. You may prefer a residential community to the city life. If you have children, the school systems are always critical to your decision. This process will more than likely take some time to work through. An experienced real estate agent will give you a realistic estimate of not only how much your current property will sell for, but also how long the process will take. And when searching for a real estate agent in your new hometown, remember: You will be relying on this person for guidance and expertise in an unfamiliar community. Choose a realtor with whom you can work well and who is well versed in local real estate values, and is able to provide helpful information on local amenities, such as schools and places of worship. Your realtor can provide you with a list of local mortgage lenders they have worked with. Shop around for the best interest rate and closing costs. Keep in mind, however, that the cheapest does not always mean the best. Moving companies offer various insurance options, and your needs will be dictated by what is being carried and other details of your move. There may be additional fees, such as packing services, boxes, or large-item fees, as well as storage fees if the truck needs to sit for a day while you wait to close on a property. It’s a good idea to have a few companies send a representative to give you a quote, and then get a written contract before you move. As soon as you know your move date, book any flights to coordinate with the dates of your move. If pets will be moving with you, be sure to make arrangements for them and understand the airline's policy and what travel containers will be required. It is also important to decide what necessary items you will want to keep with you and what you can send with the moving company. Keep in mind the number of changes of clothes and the weather where you are heading, and make sure you keep prescriptions and important paperwork with you. Once you've settled on your new home and are ready to make the move, be sure to take care of transitional details that can easily turn into a hassle if not handled properly. Have utility services, such as gas, electricity, and Internet connections turned off at your previous home and turned on in your new home on moving day. Make sure you have stocked up on all prescriptions, and get copies of any medical records you need to provide to your new doctors (including your veterinarian). Fill out change-of-address cards at your local post office, and notify credit card companies, banks, and other important contacts of your new address.